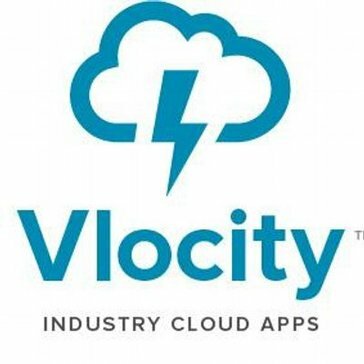 Work for Vlocity Insurance Cloud? Learning about Vlocity Insurance Cloud? "Get your database up and running!" Ease of use. Simple keystrokes. Fully compatible with Salesforce. There really is nothing to dislike here. Maybe integrate voice transcription services. Use this product to enhance your lead generation and gathering data processes. Definitely would recommend! Creating a leads database which also integrates with Salesforce. Very handy and all information s in your pocket. You can delete any name you are duplicate or do not like it. Calendar update very fast. Keep appointments update. What Insurance Agency Management solution do you use? Applied Epic enables agencies to manage their property and casualty and benefits business in a single application. AMS360 is agency management software that enables you to focus on the heart of your business - your customers. It streamlines accounting, automates manual processes, and enables seamless connections with carriers, so you can dedicate more time to your customers and prospects. Applied TAM is the most widely used agency management software in the insurance industry, allowing your agency to manage day-to-day business operations with maximum productivity. QQCatalyst is an agency management system that provides operational, marketing, and sales pipeline management tools. HawkSoft Client Management System (CMS) is an insurance agency's smart choice to enhance office productivity, profitability, and customer service. EZLynx Agency Management allows you to maximize your agency's potential by increasing your ability to retain current customers while acquiring new business. Macaw offers an end to end solution for Insurance value chain right from CRM to Accounting. Streamline operations and power up profitability in your large agency or brokerage. Agency management system for employee benefits. Centralize client information, generate RFPs, and track commissions and variance. Real time system data reporting. Integrates with Microsoft Office Suite. * We monitor all Vlocity Insurance Cloud reviews to prevent fraudulent reviews and keep review quality high. We do not post reviews by company employees or direct competitors. Validated reviews require the user to submit a screenshot of the product containing their user ID, in order to verify a user is an actual user of the product. Hi there! Are you looking to implement a solution like Vlocity Insurance Cloud?